The Pierre uses simplicity as the key to create a comfortable and casual environment, while matching the decor of any office, dining or entertainment area. 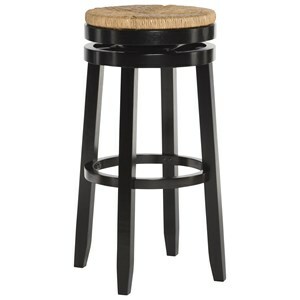 A comfortable stool has always had a part in kids doing homework at the counter, keeping the cook company while dinner’s being prepared, or the hours of great conversations with friends. The Pierre has been designed with comfort in mind, and will provide a relaxing and inviting seat option for many years to come. 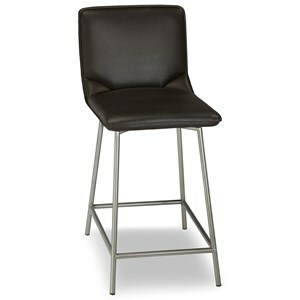 Constructed of carbon steel for strength and stability, this stool is paired with a stainless steel finished frame and bi-cast leather, Cappuccino finished upholstered seat and seat back to create a warm and inviting resting option. 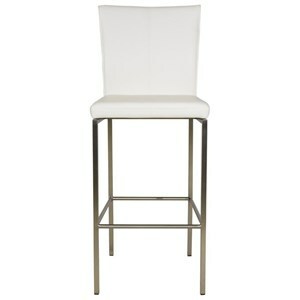 This piece features long, straight lines, giving it a clean and polished look. 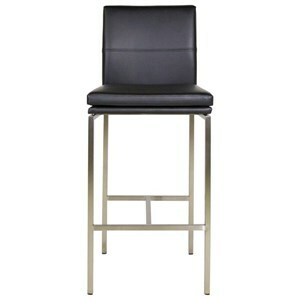 The 30-inch seat height is designed for bar counters 40 to 45-inches high. A 10-inch high footrest is provided to rest your heels and plays a very critical role in the comfort experience by most adults. 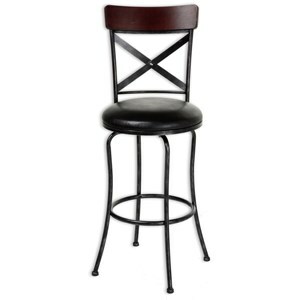 This unit has a 21-inch length x 16.75-inch width x 42-inch height, has a 16.75-inch wide seat, and includes instructions with everything needed for easy assembly. 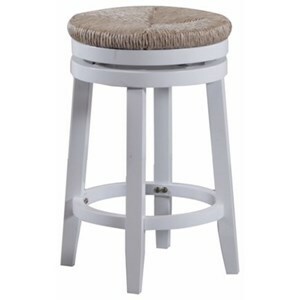 A 26-inch counter stool version of the Pierre is also available and sold separately. 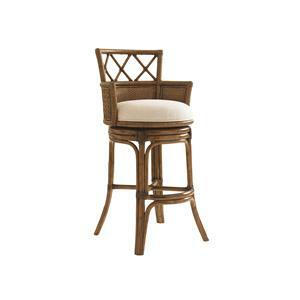 The Pierre barstool comes with a 1-year limited warranty against manufacturing defects. 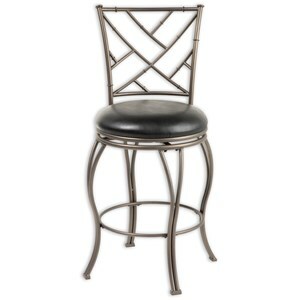 The Metal Pierre Barstool by Fashion Bed Group at HomeWorld Furniture in the Hawaii, Oahu, Hilo, Kona, Maui area. Product availability may vary. Contact us for the most current availability on this product.